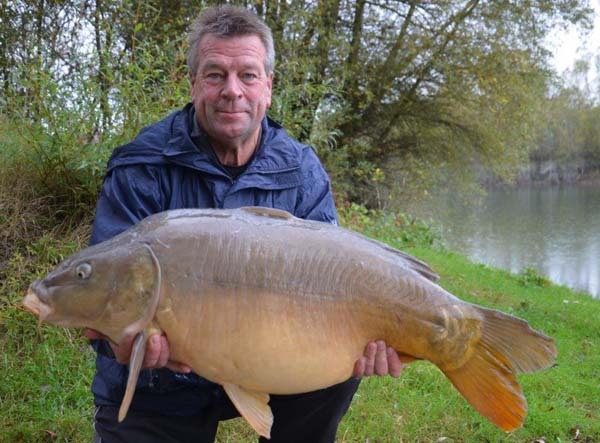 Big carp fishing lakes in France: The initial stocking of carp into the lake was carried out by the original owner in the early 1990s and consisted of 250 two to three-year-old carp. 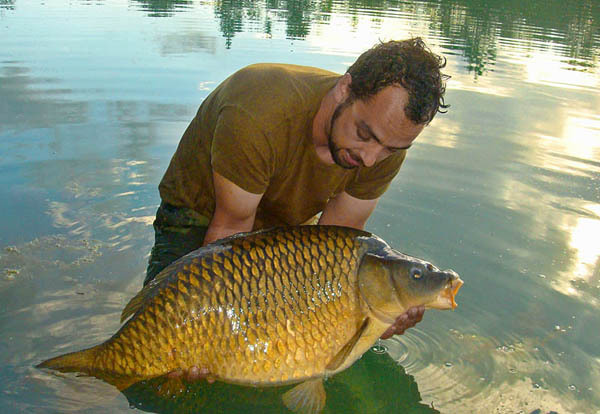 By the time I purchased the pits with a view to transforming them into a carp fishery in 1999, the largest of these carp had topped 44lb, with an estimated 60 fish remaining from this first stocking. 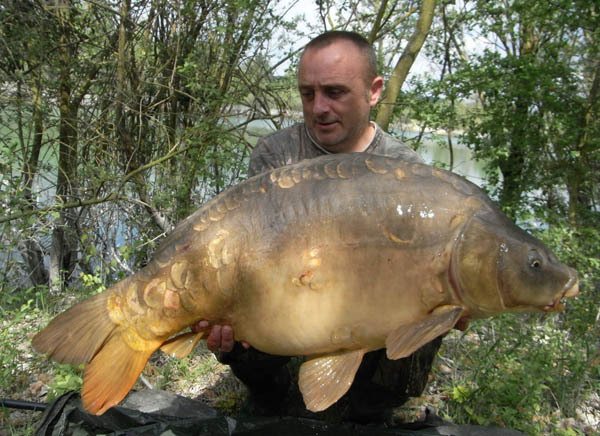 Between 1999 and 2008 a large number of carp were stocked into both of the lakes as part of a progressive fish management programme on the venue. 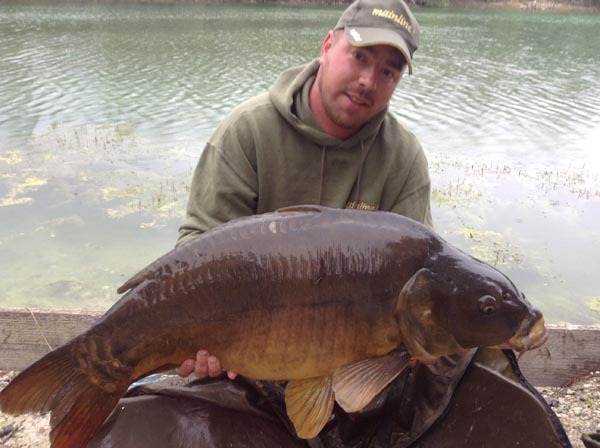 Each lake now has around 200 carp to over 50lb. 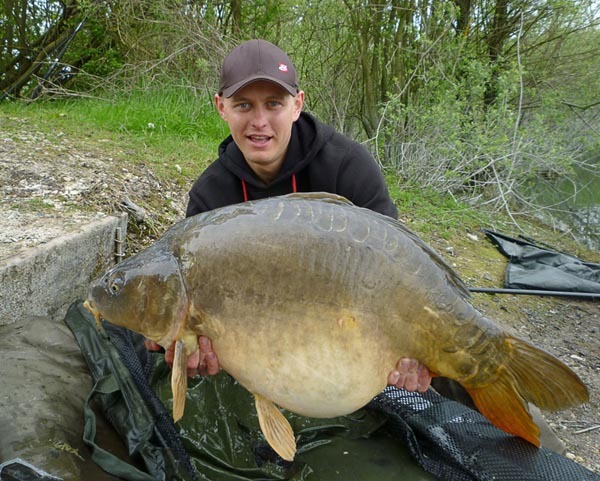 Other species include the Wels catfish to over 100lb, grass carp to 40lb plus, tench, bream, crucian carp, roach, rudd, pike and perch. The stocking policy for the future is to continue to introduce fish over 20lb progressively to the lakes. 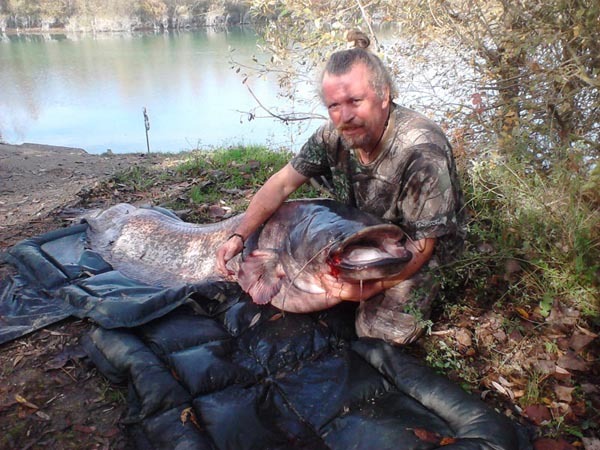 On many occasions anglers are overly worried about the tackle they will need for a session in France. 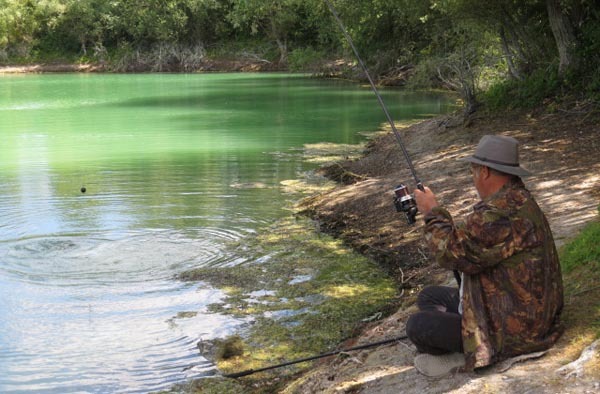 However in the vast majority of cases your regular UK tackle will be just fine for fishing in France. I would however up rate a few items to help deal with the larger specimens you are likely to encounter. Rods: 12 or 13ft with a 2.75 to 3.5 test curve. Reel: While the smaller bait runner types are adequate, I prefer a larger big pit style reel. My current preference is for the Shimano’s, but Daiwa has an excellent range too. Okuma is probably the biggest selling manufacturer in Europe and again their more budget priced reels are fine. Basically you shouldn’t have a problem finding a reel for your budget. Line: I use 15lb or 25lb nylon, I don’t like braid, either Berkeley Big Game, Nash Bullet or Daiwa Sensor are my choices. Hooks: I see many anglers using small hooks, I prefer a size 4, but on waters like the Seine and the Orient I don’t hesitate to step up to a size 2 or a size 1. On Croix Blanche a 6 or 4 would be my choice. Bait Boats: Although I am not a fan a bait boat has proved a distinct advantage on these waters, helping anglers bait with more accuracy and therefore get more takes. If you have one then I do allow them on the venue. PLEASE USE SENSIBLY! These fish were initially stocked to reduce the weed but there are some really large ones in the venue to over 40lb and they occasionally grace the banks as a pleasant surprise, as they are fabulous looking fish.